premiered Monday, December 21, 2015. Join Santino Fontana and Sesame Street® Muppets® for a holiday extravaganza. Christmas with the Mormon Tabernacle Choir Featuring Santino Fontana & the Sesame Street MuppetsCourtesy of © Sesame Workshop Renowned star of stage and song Santino Fontana and the Muppets® from Sesame Street® join the world-famous Mormon Tabernacle Choir and Orchestra at Temple Square for a magical holiday extravaganza. 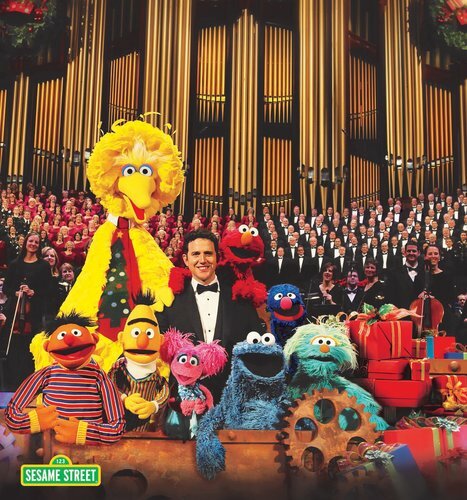 Sesame Street has been educating and entertaining the world for more than 45 years, but this concert special marks the Muppets' first performance with the Mormon Tabernacle Choir and Orchestra at Temple Square. The concert includes a rendition of the classic carol from Sesame Street, “Keep Christmas With You,” “Sing a Christmas Carol” from Scrooge, “The Candy Man,” a charming medley of songs from Sesame Street programs and inspiring arrangements of sacred Christmas music. was produced by KUED Salt Lake City. 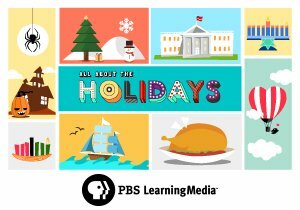 PBS LearningMedia’s Holiday Collection features curriculum-targeted digital resources for teachers and students that focus on key celebrations throughout the year. Visit PBS LearningMedia to explore.